Seven in 10 Americans believe that homeownership is an important part of fulfilling their dreams. Just 4 percent of those surveyed say that building wealth is the primary reason to own a home. More than 90 percent of people think that owning a home that suits their needs is necessary to achieve the American Dream. That’s according to the 2017 State of the American Dream report from home-remodeling website Hearth, which surveyed 2,000 people of all ages across the U.S. Respondents said that owning a home was the most critical aspect of achieving the American Dream, ranking higher than options such as sending children to college or having a successful career. 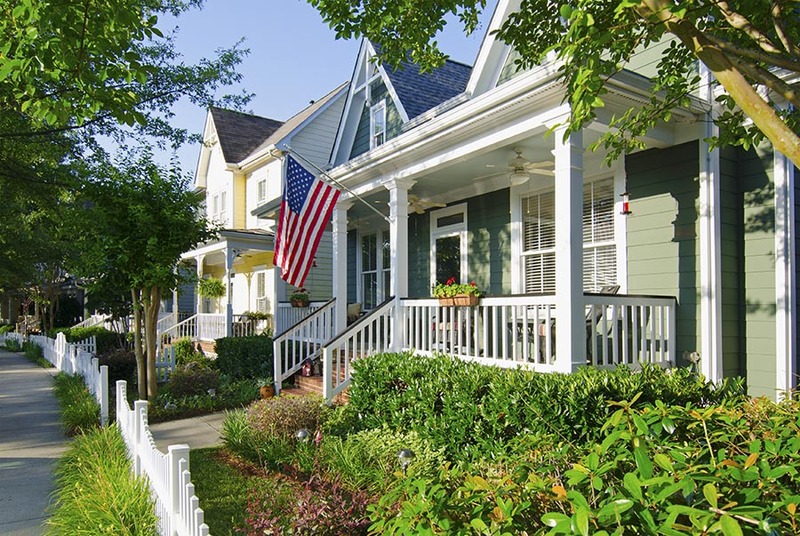 Seventy percent of those surveyed think that owning a home a critical part of realizing the American Dream. Two-thirds of millennials feel that owning a home is important to fulfilling the American Dream, slightly higher than baby boomers. Since buying a home is one of the largest financial decisions most people will ever make, it would stand to reason that financial gain would be a primary motivator. But only 4 percent of those surveyed said that building wealth was the main benefit of homeownership, compared with 26 percent who want to create a family-friendly living space and 25 percent who think that owning a home reflects their work ethic. Although having a space to raise a family outweighs financial gain for all age groups, millennials are 77 percent more likely to see a home as a wealth-building tool than their parents’ generation. Not surprisingly, baby boomers were 98 percent more likely to view property as a way to transfer financial assets to their children. But Americans are not willing to settle for just any old home, with more than 90 percent of those surveyed saying that it was crucial to own the right home. This is reflected in sentiments surrounding home renovations, cited as important by 79 percent of respondents. All generations put near-equal emphasis on the importance of remodeling a home: baby boomers (84 percent), Gen Xers (83 percent), and millennials (75 percent). Given that remodeling a home is connected to achieving the American Dream, it makes sense that consumer renovation spend is projected to increase again this year. But homeowners planning an overhaul should be advised to make plans in advance; according to Houzz’s recent Renovation Barometer report, U.S. remodeling contractors have anywhere from four- to seven-week backlogs before they can start new jobs. In the Bay Area, it takes even longer — about 13 weeks in San Jose and nine weeks in San Francisco.